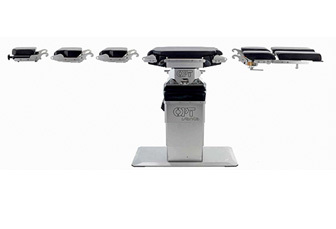 The Operating Table with Transferrable Table TOP ,summarizes all the Technology and Knowhow acquired by OPT in more than 90 years history .Operating system with transferrable table tops VANTO is completely modular with a single central section to which numerous components ,head leg and other section , the table is automatically detect the configuration setting .The VANTO table top has unique fix Torque system that allows to hook/unhook the sections of the operating table in a secure and rapid way and a single movement without using additional clamps or locks. 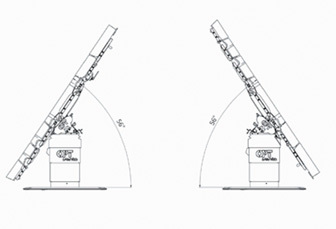 VANTO system offers the exclusive possibility of accessing the column from all four sides. 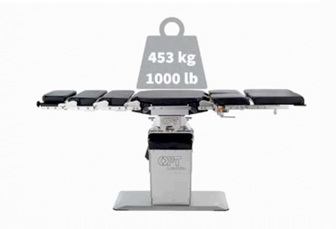 The Table top is completely radiolucent on its entire length. 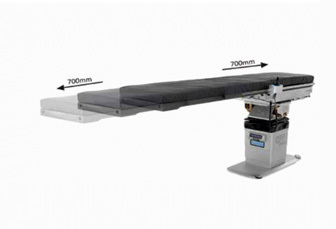 The vascular table top and the carbon fiber sections allow for 360º radiolucency.